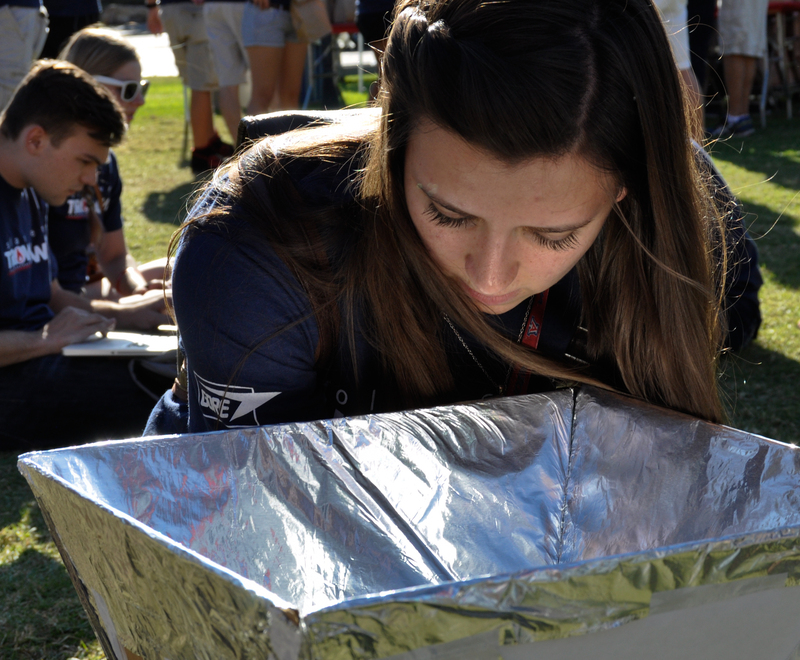 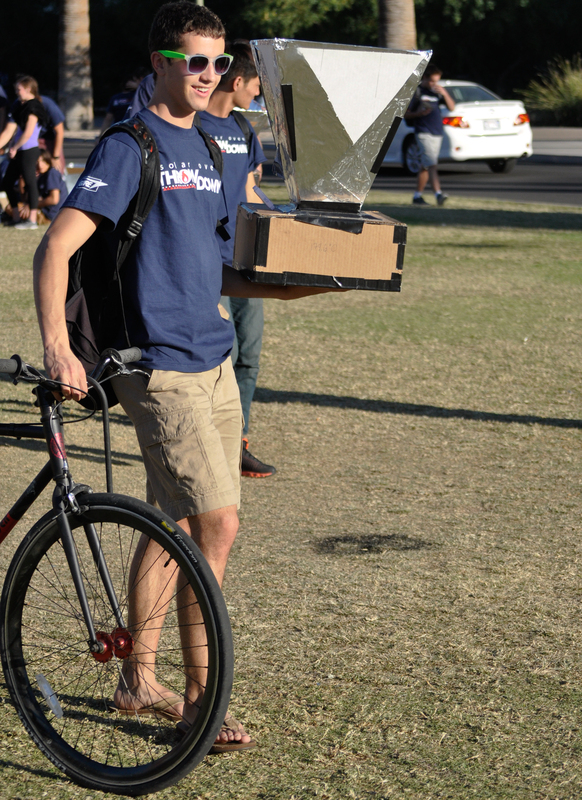 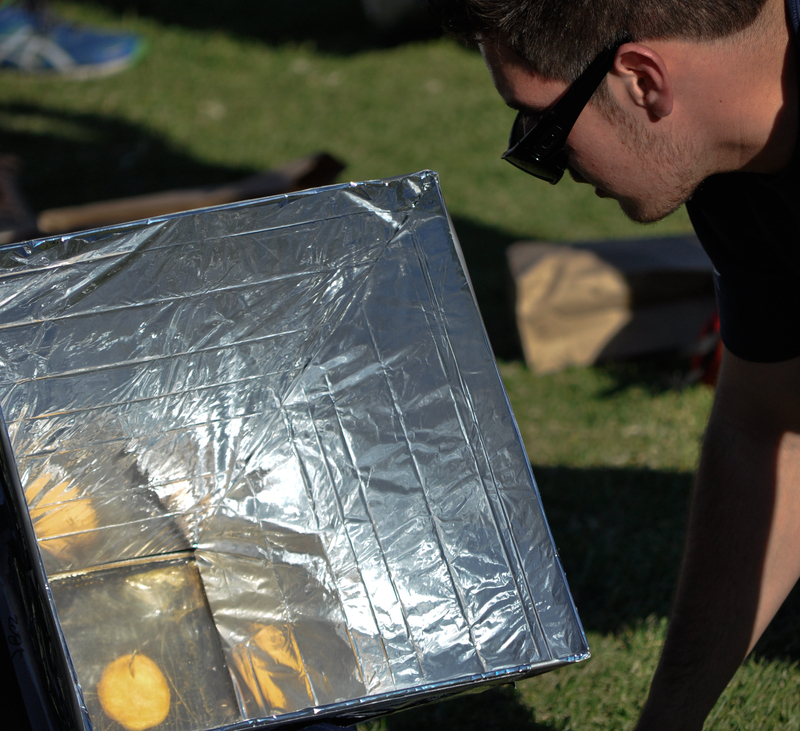 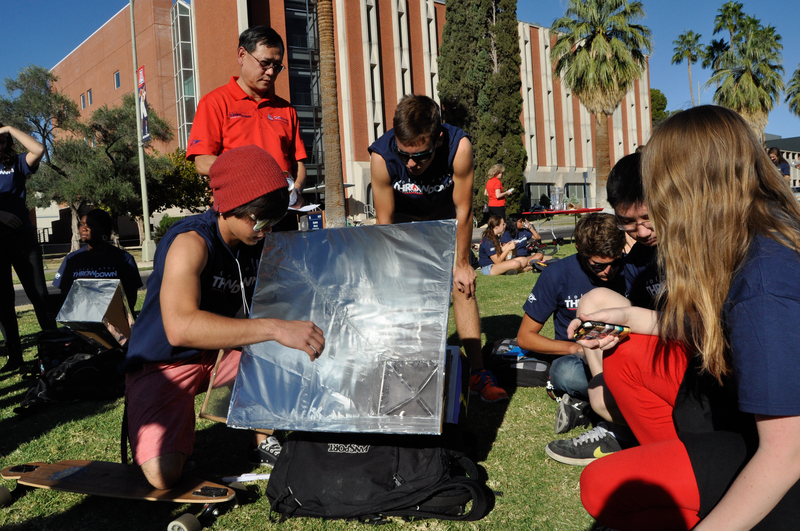 About 500 engineering freshmen took part in a mass cook-off on the UA Mall on Tuesday using solar ovens they designed and built themselves. 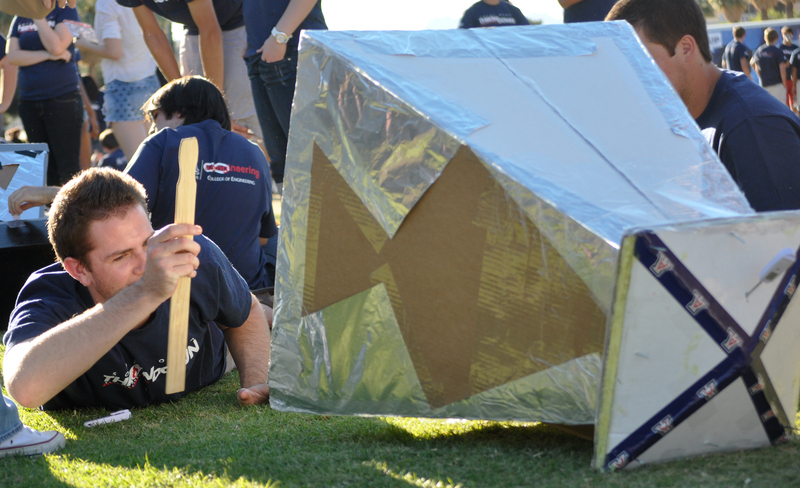 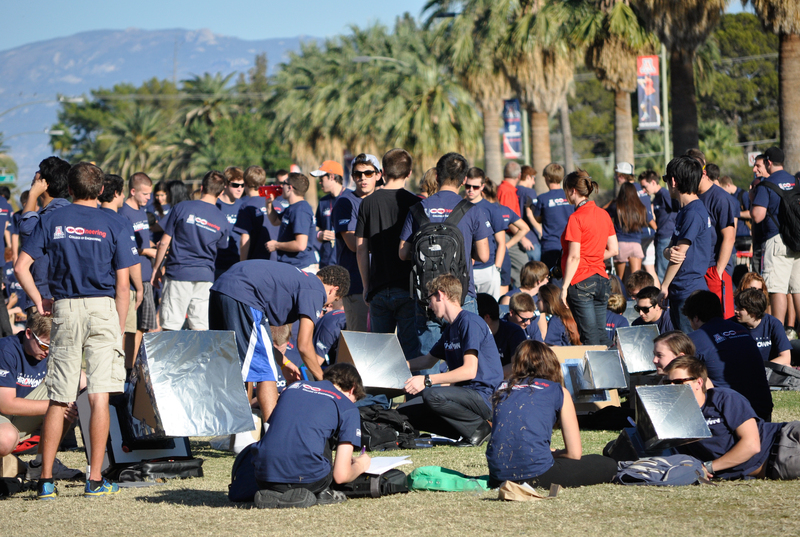 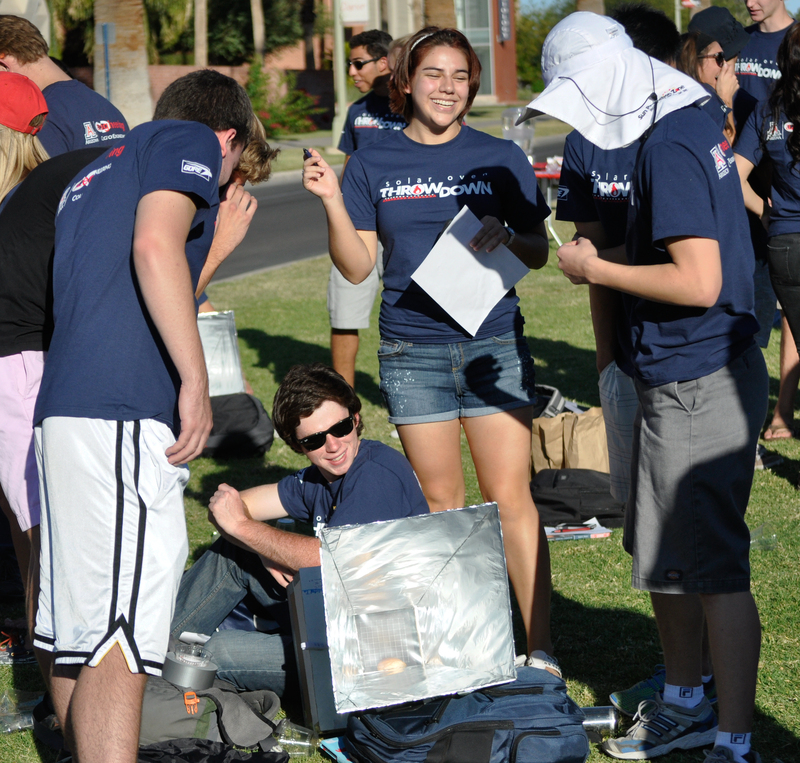 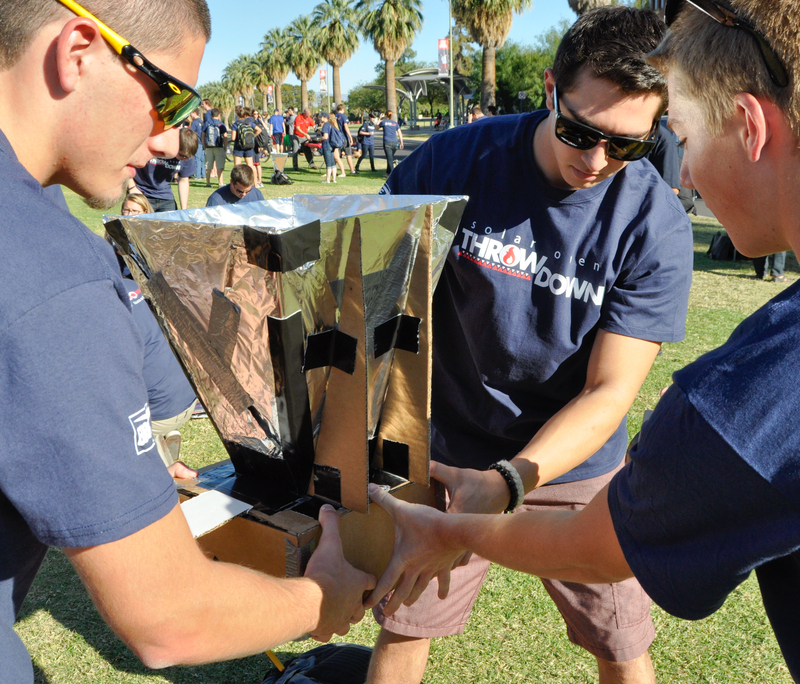 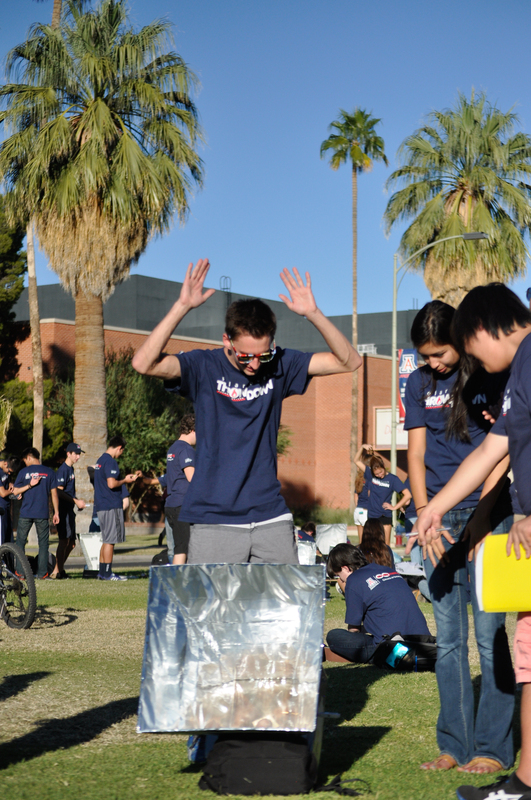 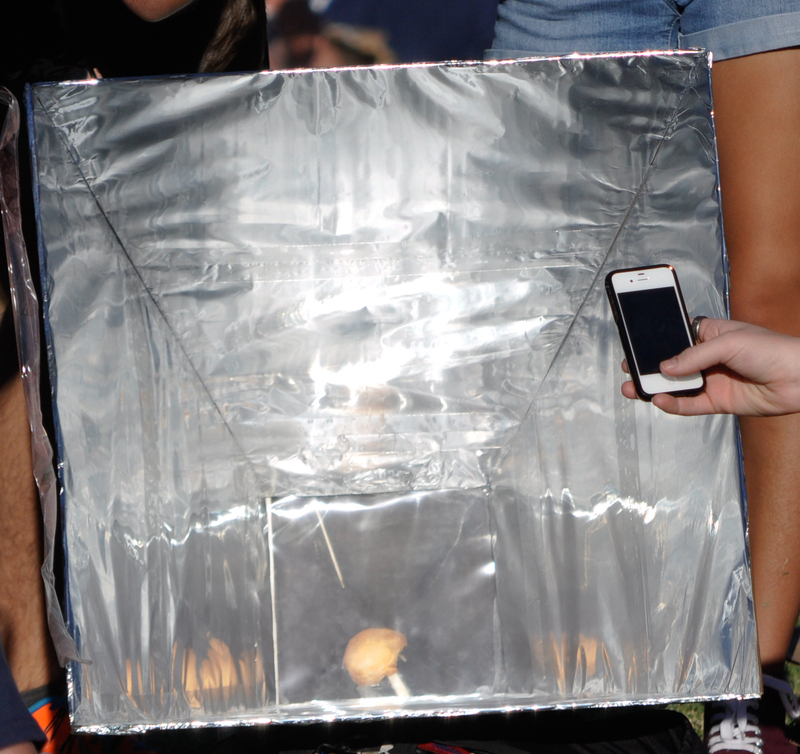 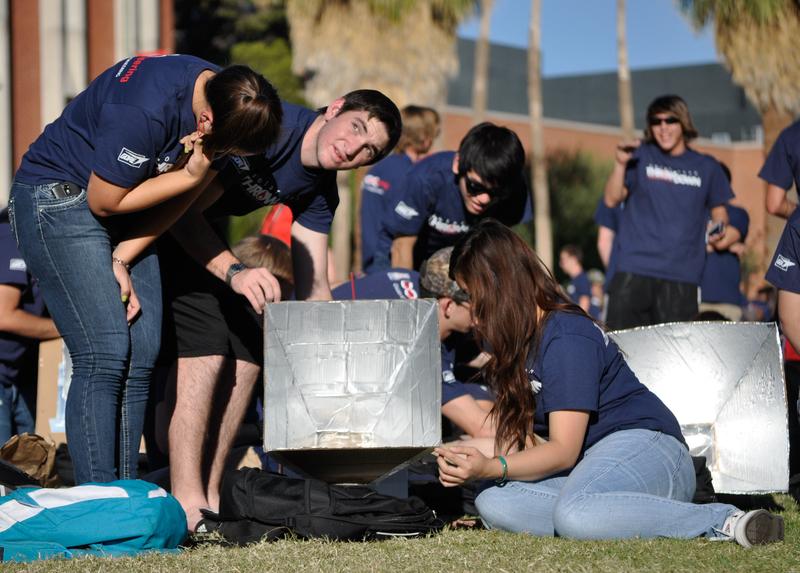 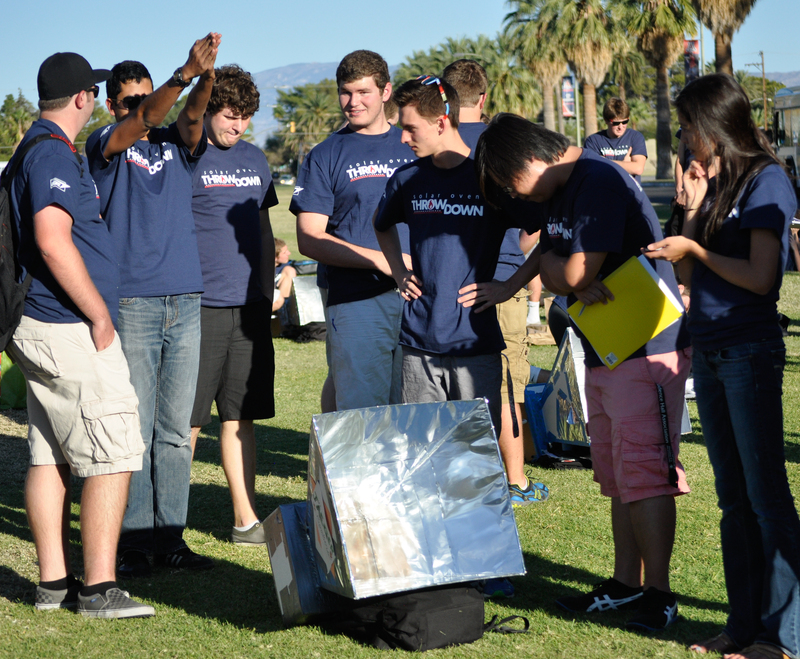 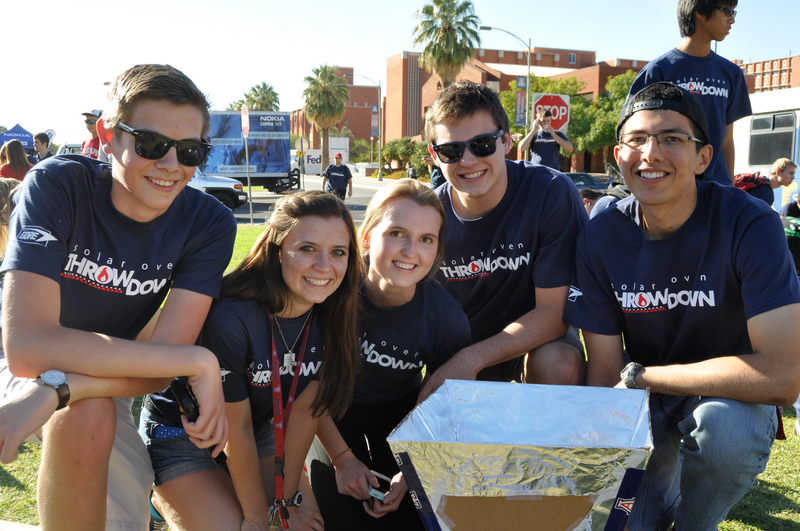 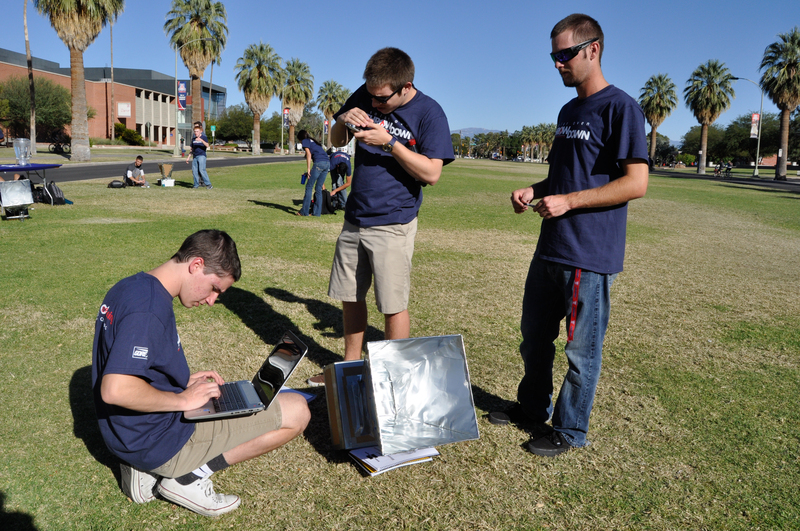 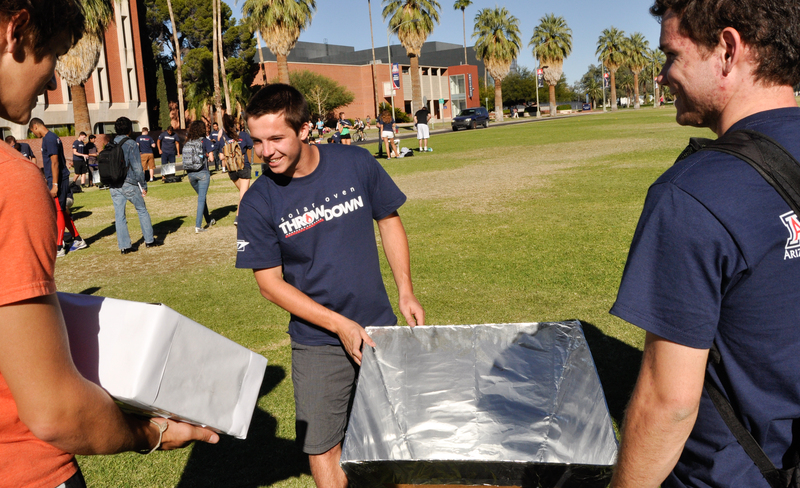 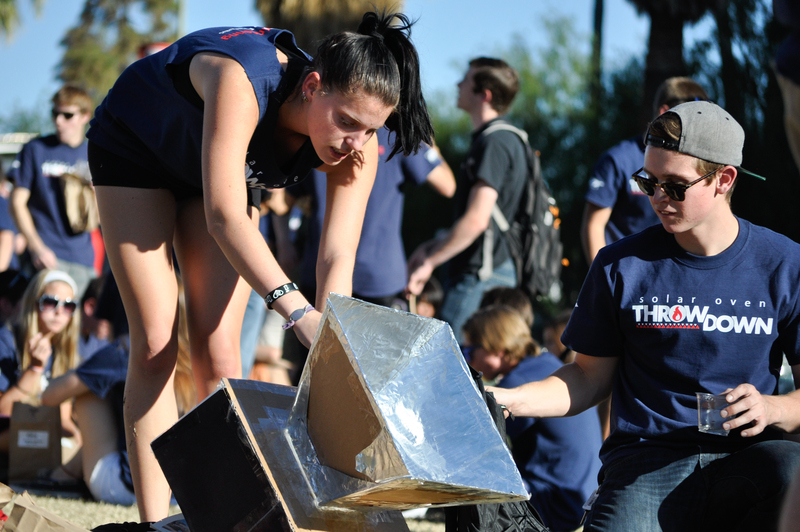 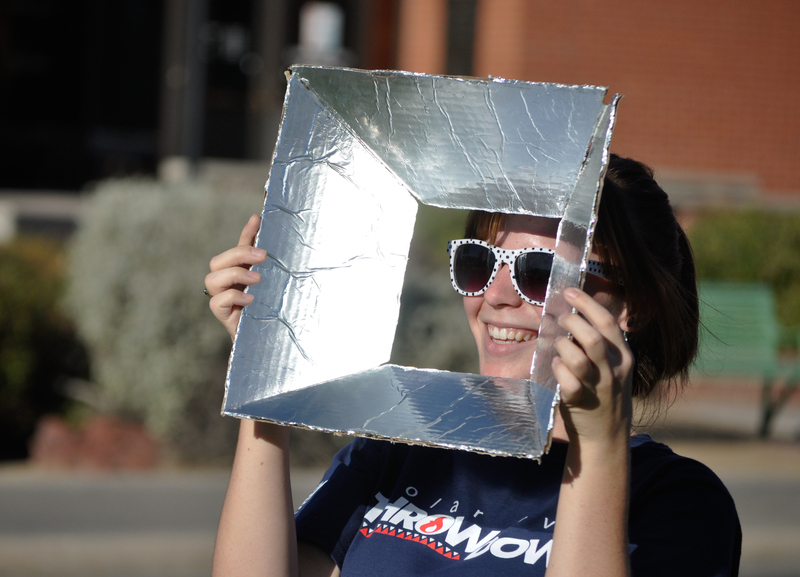 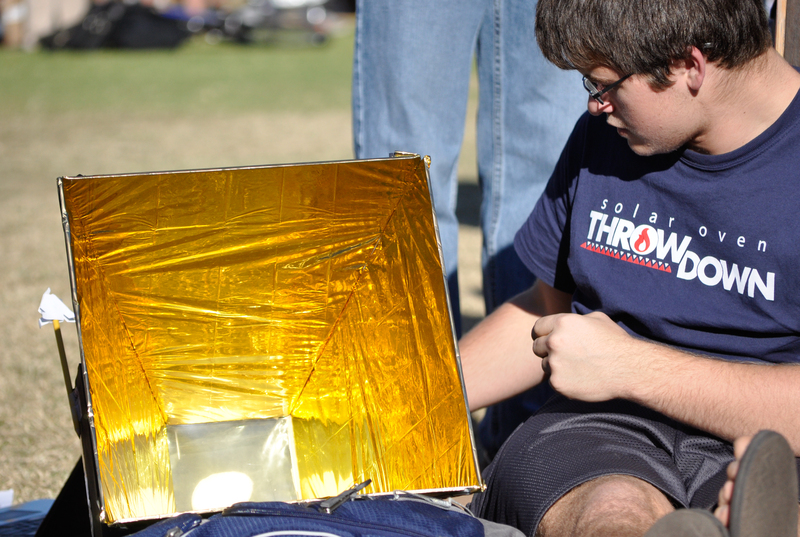 Every year, students in the UA's Engineering 102 class spend classroom time poring over spreadsheets and thermodynamics equations and then design the best possible solar oven and predict the temperature it will reach. 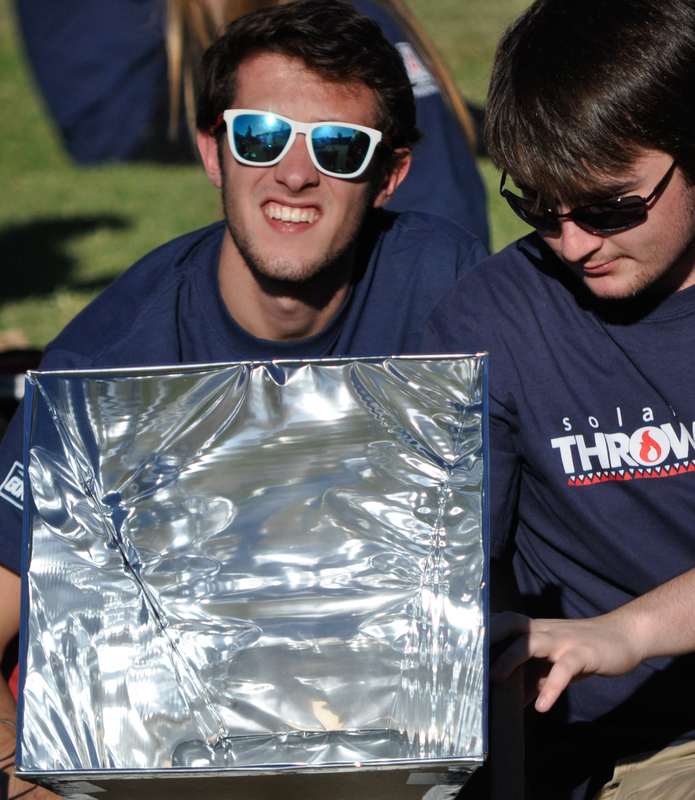 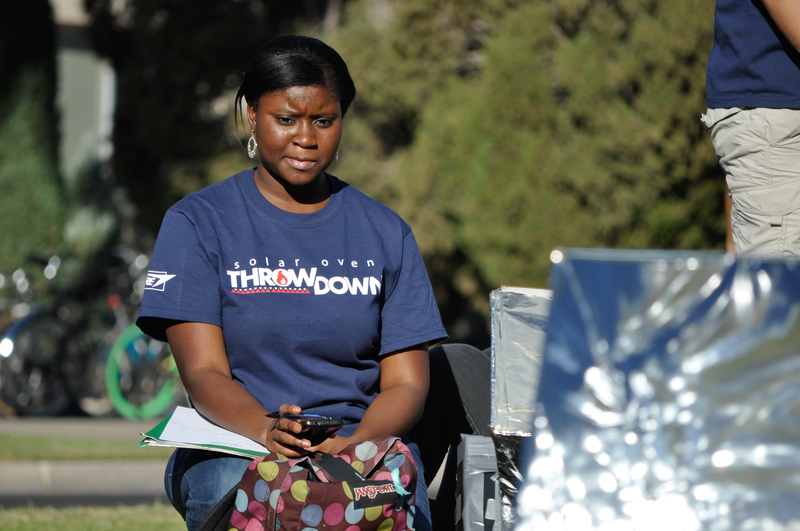 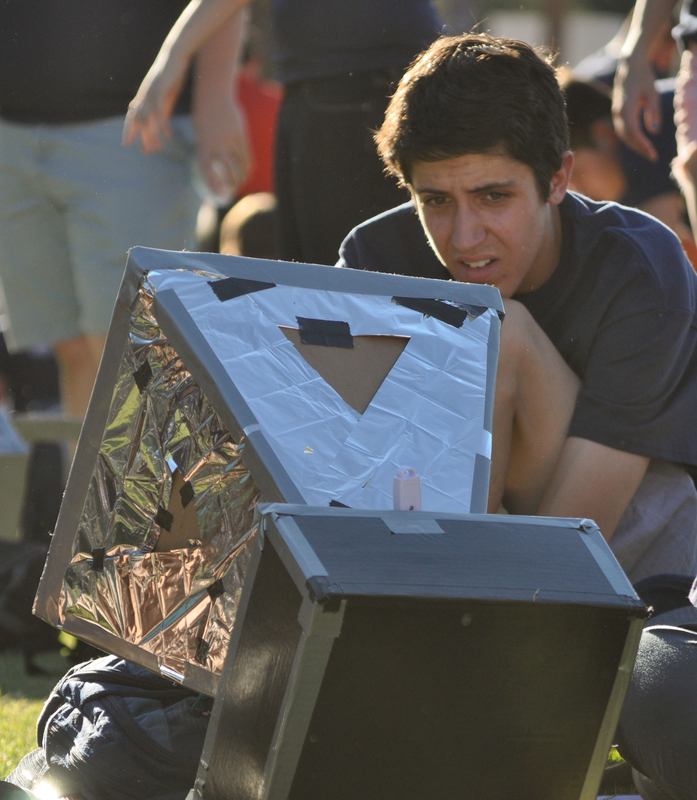 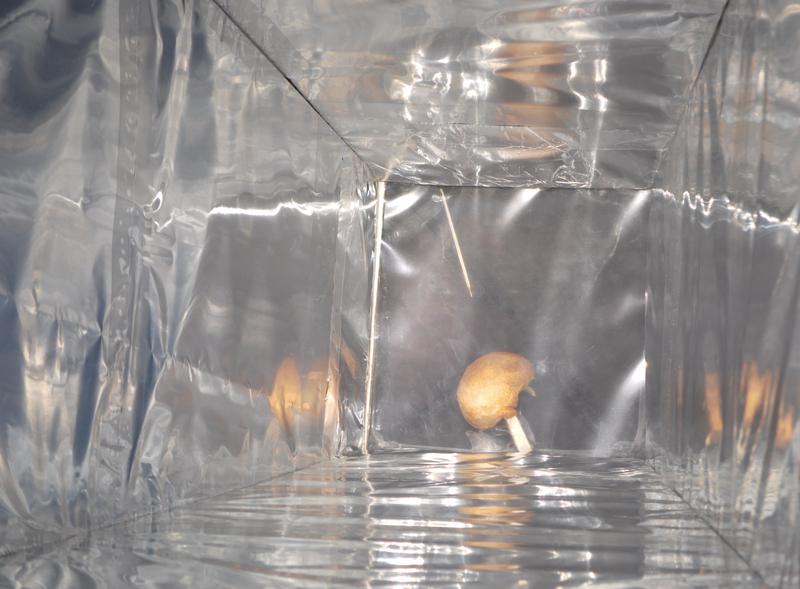 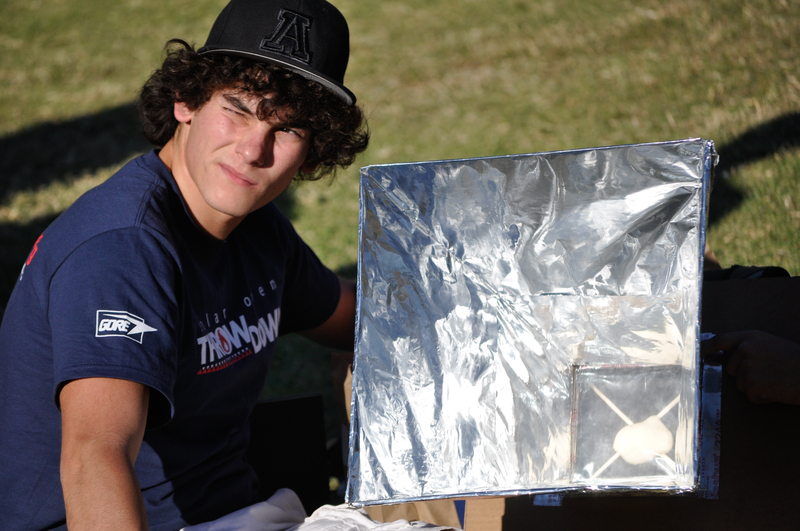 During the Solar Oven Throw Down, they test their ovens to determine the accuracy of their predictions.